The Samsung Galaxy s6 and Samsung Galaxy S6 Edge which were unveiled during the course of the 2015 MWC event held last month, are now available on Konga as Pre-order. The devices aren’t officially out in the country. However, you can get it first hand by simply filling the Pre-order form thus making sure you be among the first to get the device when they are officially out. Visit the Pre-order page on Konga here and choose to fill out the requested information. The information you are required to fill out are your name, e-mail address, gender, choice of phone (Samsung Galaxy S6 or Samsung Galaxy S6 Edge) and your mobile number. Click on submit and you should get further instructions on your email address. The Samsung Galaxy S6 is packed with an iconic metal silhouette and ultra slim bezel. Inside the device is the fastest and most powerful processor ever to be put in a Samsung smartphone hence, as the latest flagship device from Samsung, you can only expect something better than the rest. The Samsung Galaxy S6 Edge on the other side, simply redefines design. The edge is made of dual edge screen which looks beautiful and stylish even in sight. Talking about camera, the both devices comes with cameras that boost of talking wide-angle selfies, auto HDR pictures. They both feature 16MP back camera with optical image stabilization and can record 2160p @ 30fps videos. The front facing camera is 5MP and supports 1080p @ 30fps, dual video call, Auto HDR. Although they both carry same name, the edge difference sure makes some little difference in the devices. 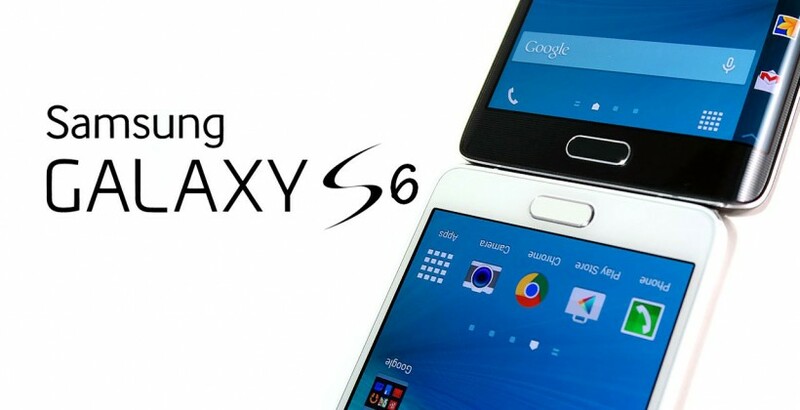 The Samsung Galaxy S6 weights 132g while the Samsung Galaxy S6 Edge weights 130g. Hence, you can sure say the edge weights little lighter than the latter. In the display department, the Galaxy S6 is a 5.1 inch Quad HD super Amoled screen while the Edge is a 5.1 inch Quad HD super Amoled, curved Edge design. The basic difference in this regards, is the curve in the edge device. Talking about operating system, both devices runs on Android 5.0.2 lollipop OS with Touchwiz. In regards storage capacity, both devices come with 32GB, 64GB and 128GB variants. They are non expandable due to the fact that, a memory card cannot be used. Talking about processor, both devices run on same processor which is the octa-core 64-bit 14nm Samsung Exynos. They both operate on same ram size of 3GB LPDDR4. Same camera specs of 16GB back camera and 5MP front camera. Same battery capacity of 2550mAh which are both non removable. Talking about color variants, the Samsung Galaxy S6 comes in color variants of white pearl, black Sapphire, Gold Platinum and Blue Topaz. The Samsung Galaxy S6 Edge on the other hand, comes in color variant of white pearl, black Sapphire, Gold Platinum, Green Emerald. Judging from the difference in both devices as stated above, the most noticeable difference, is just the curve screen.